Can you think of one of the most germ-infested places in your office? Answer: the fridge! Shocking, but especially true for communal fridges in offices, where large numbers of employees make use of them on a daily basis. They may not be aware of unsanitary practices that encourage the breeding of germs. Ultimately, this is not beneficial for your company as sick employees reduce productivity. Here are four guidelines you can follow to ensure a clean fridge. Unclean surfaces can contain up to 8000 bacteria per square centimeter, most of which cause food poisoning. It could translate to more sick days, and hence a fall in employee productivity. Nimbus uses robust cleaning solutions and industrial-grade sanitizing machines to efficiently eliminate tough stains that attract sickness-inducing pathogens, guaranteeing the well-being of everyone in the office. By leaving soon-to-be expired food in an inaccessible location, it is likely that they will be forgotten and consequently neglected. It is especially true in the context of a workplace, where time-pressed workers may not remember to clean up after themselves. Having a rule on disposing of food after 24-hours will help to better discipline your employees to never leave highly perishable food in the fridge. 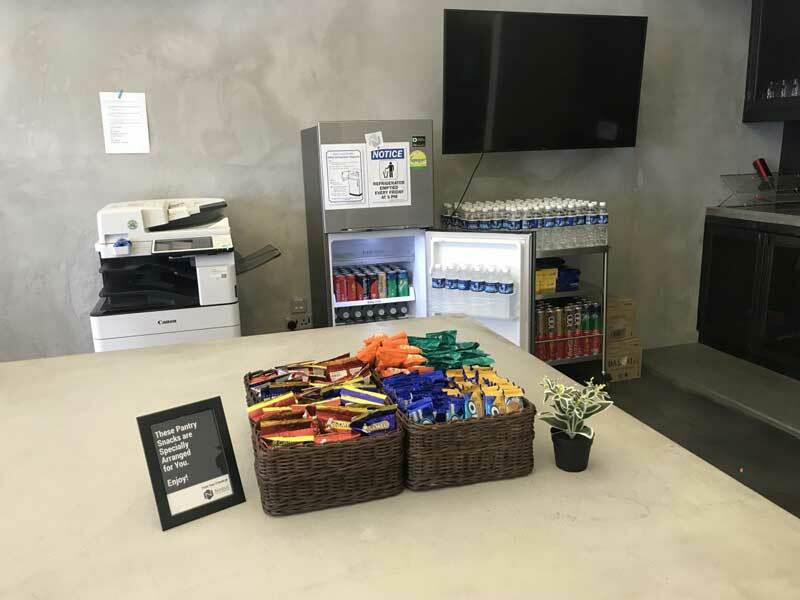 Nimbus’ pantry replenishment services adjust quantities of food stocked following demand levels in your office, so there will never be unfinished food in your fridge. Our cleaners also ensure that the food we supply is not near expiration date. Apart from fridge cleaning, Nimbus can also supply pantry snacks and stock them up for you. Aside from releasing unpleasant odors, having food left uncovered in the fridge could lead to spoiled food cross-contaminating other food. Additionally, mold and yeast tend to grow in moist areas, so placing food in containers could prevent such infestations from forming and spreading. Nimbus’ one-stop office management solution means that we will gladly supply your office with holders and bowls, on top of our usual cleaning and pantry maintenance services. Often an overlooked area, dust accumulated on condenser coils can reduce efficiency, impeding airflow in the fridge. It creates a conducive environment for bacteria to breed, heightening chances of food poisoning and contamination. Nimbus fridge cleaning services eliminate dirt and grime lurking in uncleaned corners of your office, the back of your fridge included so you can rest assured that your office fridge is functioning in optimal condition. With so many threats looming in your office fridge, why not consider Nimbus as your office management provider? Our holistic, comprehensive services ensure that no stone will be left unturned when it comes to guaranteeing the cleanliness and hygiene levels of your office. Do consider visiting our site for a free quotation.